Destroy The Works of the Enemy: A Deliverance Manual for Spiritual Reading by Iris & John Delgado is worth reading multiple times in order to empower the reader when confronting personal crisis and trials. Not many believers understand the concept of the Holy Spirit and that we are all called to fight against the devil, our Enemy. The authors present scriptural background and bible passages from the old and new testaments to share with the reader that each of us is called to resist and fight against the devil with the power of the Holy Spirit. The authors refer to this as the deliverance ministry and explains this is one of the privileges all believers have at their disposal. This background material is necessary as many readers may be unfamiliar with these spiritual concepts. The main focus on the book is to show the reader more information- from Satan in general from his early origins in the bible as well as to expose the works and deceptions of the devil as well. The authors use some personal anecdotes from their experiences. Some may find these stories difficult to believe and a bit theatrical. In it important to keep in mind the charismatic background of the authors is based on the belief of the real workings of the Holy Spirit and the literal belief in modern day spiritual gifts such as tongues and healings. One powerful story is about a minister who failed to heed the Holy Spirit's promptings to discard former ungodly practices and serves as a poignant warning to those who disregard God's direction. Another anecdote about a concerned mom rummaging though her adult son's suitcase to discover an occult book seems a little stereotypical and I feel could have been excluded. Rather than seeing a miracle many readers -especially younger readers, may simply conjure up an image of a meddling middle aged parental figure and making this negative association other than what the authors originally intended. Much of the book is an invaluable resource where the authors have taken scriptural truths and promises- and relate them to the modern day believer to use and apply when facing any trial or work from the enemy. The scriptural references will empower any reader with a quick resource of how to respond in faith to any difficulty- large and small. It is a spiritual self help book in the fact that it will allow the reader the tools to look within himself and identify any areas or issues where Satan has his foothold. Not only that it tells the reader how to face and address these issues! For those who are at a loss of how to begin to approach their spiritual problems there are a number of sample prayers applicable to any number of situations. As a blogger for the Booketeria I received this book published by Charisma House for the purpose of writing this review. Each book features animal photographs depicting animals in their natural habitats and simple age appropriate text. Just about every parent and child is familiar with the popular early reader books and these books are perfect for learning to read as well has capturing the attention of younger readers. What distinguishes these books from other early readers are the addition of colorful side bars featuring trivia and animal facts as well as the recognition of God and faith. The expressive animal photos selected will amuse children. Some of the monkeys have expressive faces! The suggested age range is from 4 to 8. I think the younger children will enjoy having this book read to them while emerging readers will be able to read these stories independently. The large size of this hardcover can be deceiving as it is reminiscent of the size and shape of a glossy picturebook or board book. I did not expect this to be an early reader book for emerging independent readers until I opened the pages. As a Booklook blogger I received a copy of this book for the purpose of writing this review. Living Life Undaunted: 365 Readings and Reflections from Christine Caine is a daily devotional book based on her book, Undaunted. Even if you have not read Undaunted, this independent book of devotionals can be enjoyed and understood. The devotionals are written to reach a broad audience -for all ages, adults, parents, seniors and college students alike. Yet it is difficult to intimately connect with such a broad group and I found that Caine is especially effective with connecting to young adult readers. Many topics center around self esteem and faith and real life applications of biblical truth. I found the devotions to be relevant as if Caine milled through the entire bible looking for those most relevant bible passages to expand upon in her daily reflections. Also included are devotionals and discussion based on an important subject of abuse and human trafficking. She uses anecdotes from her child hood and teen years to connect with young adults readers. For those readers who themselves are victims of abuse, these daily devotionals will be refreshing and empowering. The months are divided into four quarters or four main topics- larger themes that the devotions center around. The book itself is pocket sized and the font is inviting to read. Its perfect for a backpack or purse. While I feel this book is best suited for young adults in their twenties I feel that the themes are applicable enough that even older adults will felt empowered and motivated after reading this book. As a blogger for Booklook bloggers I received this book published Zondervan for the purpose of writing this review. Family Illustrated Bible Stories published by New Leaf Press, is a beautiful bible for children as well as their families. With a beautiful mix of artwork and even some photographs this work is a hybrid between a children's bible, and a bible reference book. This full color bible contains illustrations, bible stories as well as side bars of information that bring bible culture and bible history to life. The world of the bible is vividly presented through the illustrations, bible stories and commentaries. There is a wide variety of richly expressive full color art for each bible story. The drawings are expressive and vivid, giving the gospel message the dignity and respect it merits. Each illustration compliments the bible for its originality. The reader could spend hours just enjoying the art, maps, charts and graphics. The informational side bars of information as well as the photographs are perfect to give some historical background to the world of the bible. Nevertheless, the historical side bars are not just spiritual in nature as they offer historical and archeological background for biblical stories and events, in some cases. The text is based on bible scripture, yet is more of a paraphrase. in contrast to many bible storybooks, these bible stories are a faithful representation of God's word. They are not overly simplified and parents can trust these stories to deliver the gospel message. Even adult readers will enjoy the features of this bible as well as the stories. I can imagine this book of bible stories would be a perfect supplement for a history or sociology lesson with the wealth of information contained. Overall this is one of the better, most complete bible to introduce young children and older children alike to God's word. It is a bible to be passed down to future generations, in fact. In the saturated market of children's bibles this one stands apart from the rest. This bible is perfectly suitable to be read aloud by a parent, or for older children to read themselves. Not only that, this bible is the perfect study bible for young readers. Of all the bibles on the market for children- this is among the best, quality bibles I have read. As a blogger for New Leaf press, I received this book for the purpose of writing this review. This is a bible that I feel is perfect to read to my children. Although this book is related to the Family Illustrated Bible also published by NLP, it is a bit more streamlined in that this volume of bible stories focuses more on the stories themselves. 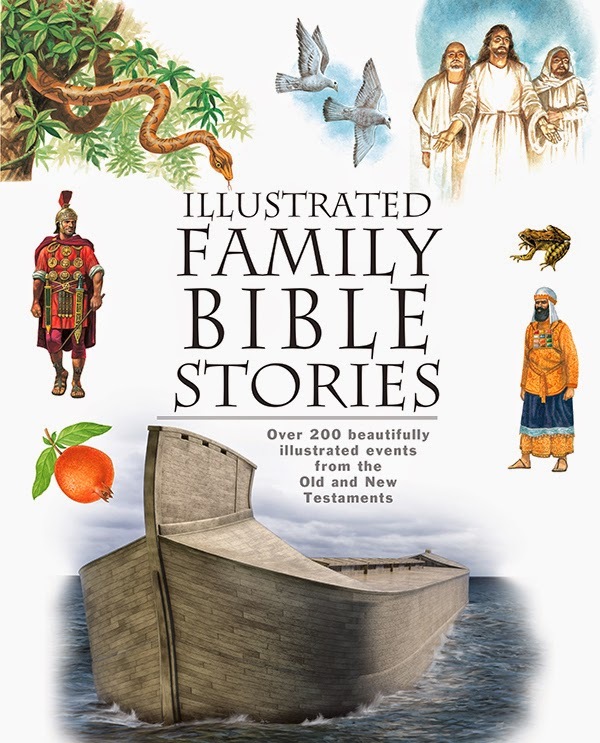 The Family illustrated bible includes additional study spreads and photographs while the Family Illustrated Bible Stories focuses more on the bible stories themselves and illustrations. While there is some overlap between these two bible story volumes, they differ in styles and content. fb Party- you are invited! There is a wide range of Children's bibles on the market today, ranging from study bibles for older readers, featuring the full bible text to graphic novel styled bibles to colorful storybook bibles for preschoolers. When selecting a children's bible there are a number of considerations to guide you to the best choice. Some bibles feature the full bible text as well as age appropriate study resources while others are simply a collection of simplified stories accompanied by distorted, quickly drawn cartoon illustrations. There are some bibles packaged as children's bibles featuring super small font and difficult to read KJV text, which make bible reading prohibitive for children and are most likely to sit unread, gathering dust on a bookshelf. Bible storybooks - There is a wide range in this category from quick, simplified one paragraph sized bible stories such as the Color and Sing Bible Stories accompanied by simple cartoons, to beautifully illustrated full length faithful paraphrased accounts such as the New Leaf Press Family Illustrated Bible Stories, Andreasen's 101 Bible stories as well as a subgenre of illustrated hybrid study- story bibles such as the New Leaf Press Family Illustrated Bible featuring paraphrased bible stories, illustrations, photographs, history and archeology. Bible graphic novels - These vary from comic book styled bibles such as Dan Cook's Action Bible, to graphic novels such as the Messiah Origin. These are great for adult readers as well as teens. Study Bibles- These bibles feature the full bible text in an easy to read font size. The bible version is usually a readable modern version such as the NIV. 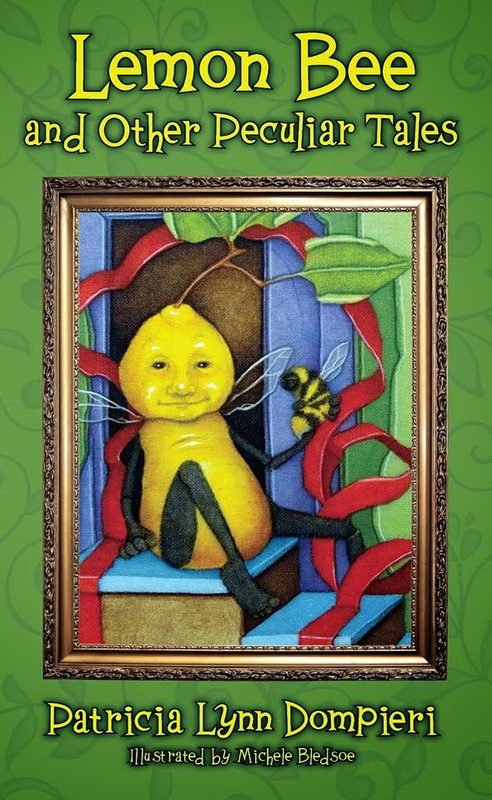 Interior graphics, articles, bold heading and illustrations add visual appeal for elementary aged to teenaged readers. The Jesus Bible, The Young Women of Faith Bible, The Deep Blue Study Bible, The Big Picture interactive Bible, The Ignite Bible. Gift Bibles- These are simply repackaged "adult" bibles with no additional kid friendly features other than a special cover illustration. Often the font is tiny, with standard black and white text, featuring the KJV, NKJV or sometimes the NirV. There may be full color page inserts to break up the text copy. Examples of bibles like this include the "Precious Moments" line of gift bibles and the ICB sequin bible.